Lecture courses: - Animal and human physiology. - Ecological physiology of animals and man. Research interests: Transfer factor preparations. Eological physiology and Immunotoxicology. Memberships: - Union of Scientists in Bulgaria. - International Transfer Factor Society, New Orleans, U.S.A.
Fellowships : - ID-Lelystad, The Netherlands,1998. - Hebrew University of Jerusalem, State of Israel, 2004. 1. Ignatov G., St. Bojadjiev, At. Arnaudov, Specific polyvalent immune stimulant for pigs, containing transfer factor. Efficiency against some bacterial and viral infections, Proceedings of Eighth Congress of the Bulgarian Microbiologist, Varna, Oct. 1993, Union of Bulgarian Scientist, 61-65. 2. Arnaudov At., The effect of the temperature stress on the T-cell population of geese, Proceedings of 10th European Symposium on Waterfowl, 22 - 31 March 1995, Halle, Germany, 219 - 222. 4. Kostov G., Y. Bachvarova, M. Stefanov, At. Arnaudov, 1999, Occurrence of antibodies against Actinomyces pyogenes in blood sera from cattle showing non-specific reaction, Bulgarian Journal of Veterinary Medicine, 2, N1, 41-45. 5. D. Penkov, At. Arnaudov, V. Guerzilov, Hr. Jancheva, Nutritive value of dehydrated lucerne meal in experiments with geese. I. Apparent and true metabolizable energy values, Proceedings of 12th European Symposium on Waterfowl, 18-20 Oct. 1999, Adana, Turkey, 99 - 106. 6. D. Penkov, At. Arnaudov, V. Guerzilov, M. Nikolova, Nutritive value of dehydrated lucerne meal in experiments with geese. II. Content and true digestibility of the amino acid, Proceeding of 12th European Symposium on Waterfowl, 18-20 Oct. 1999, Adana, Turkey, 57 - 62. 8. D. Arnaudov, At. 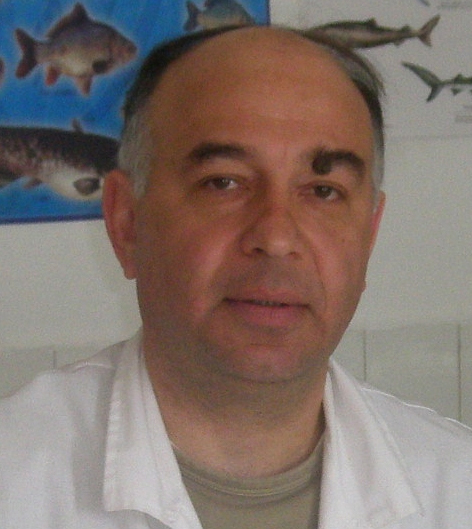 Arnaudov, D. Kirin, 2003, Study on the Toxoplasmosis among wild animals, Journal of Experimental Pathology and Parasitology, BAS, Sofia, 6, 11, 51-54. (Full text) cited 2 times. 11. Arnaudov At., N. Tziporkov, 2006, Immunosuppressive activity of fractions of Salmonella choleraesuis. - Folia Veterinaria (Kosice), 50, 1, 33-36. 13. Arnaudov At., 2008, Morphological changes in the skin caused by influence of dializable lymphoid cell extracts, Acta morphologica et antropologica, 13: 121-124.